The US corporate bond market reached a record $8 trillion at the end of 2017. The high followed a wave of new issuance, which averaged $1.5 trillion annually for three years running. Despite this dramatic supply trend, already tight spreads dipped even further, leaving them below historical averages. I believe that foreign demand has been one of the significant technical factors contributing to the spread tightening. Consider that in 1990, non-US investors owned less than 15% of outstanding US corporate debt; today, they own 40%. But will this level of demand persist? There is speculation that rising costs associated with currency hedging could seriously diminish demand for US corporates. I disagree; I still see the US corporate market offering incremental yield and stability, which should help keep this asset class on a solid footing. 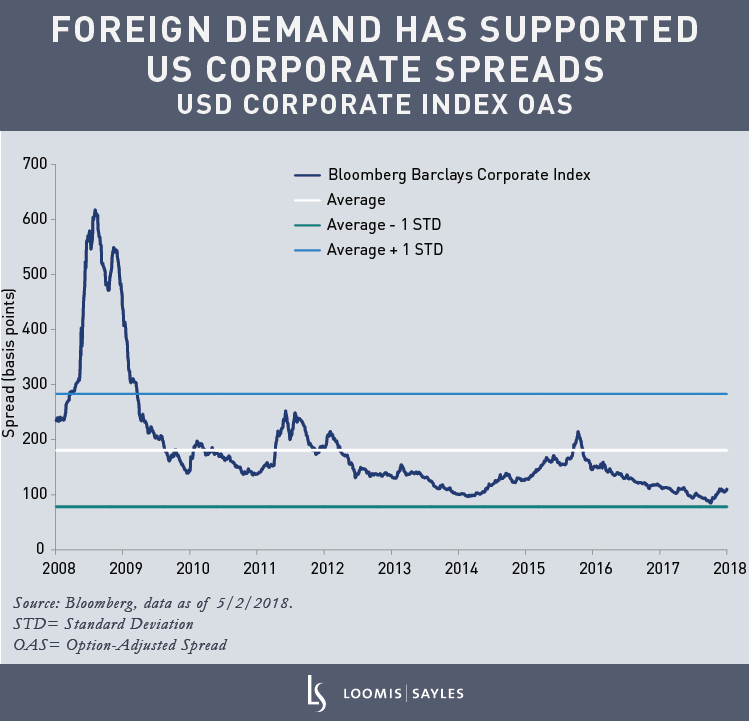 Historically, foreign buyers of US corporate debt—especially unhedged investors—have been attracted to the sector’s higher relative yields and a strengthening US dollar. However, during the past year, the weaker US dollar has presented foreign investors with a bit of a catch-22. The soft dollar has hurt investors who piled in to US investment grade bonds without hedging the currency risk. On the flip side, rising hedging costs have eaten into the relative yield advantage of US corporate debt. 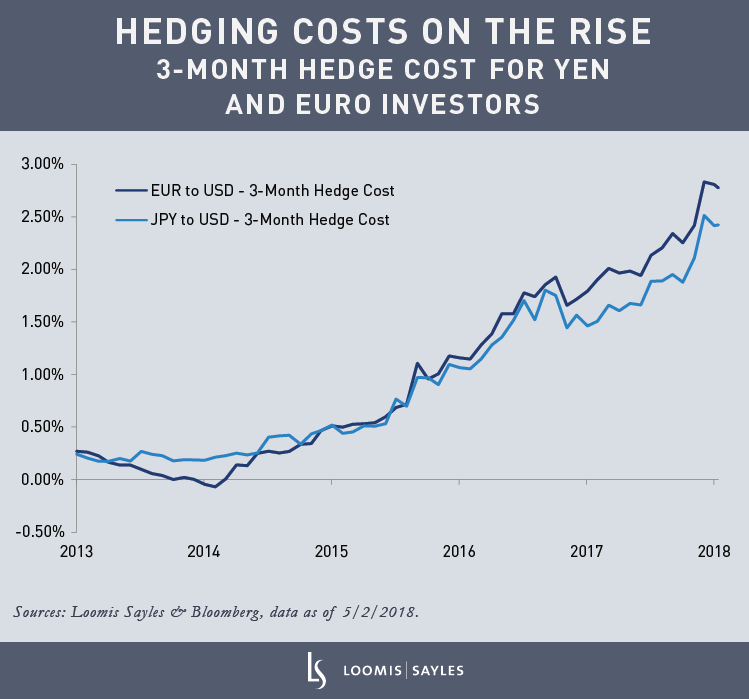 The chart below shows the rising costs for the yen and euro investors who are hedging dollar-denominated assets to their home currencies using 3-month forward hedges. For a euro investor buying US investment grade bonds, my analysis shows the final pickup, or gain, in yield after paying for a three-month hedge could be close to zero in shorter-dated bonds. As investors move out in maturity, the hedging costs become an even bigger drag on yield. 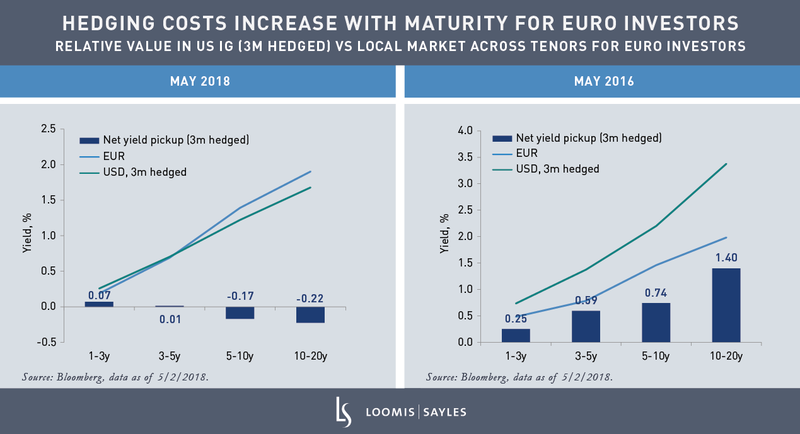 For a fully hedged euro investor, extending an investment’s maturity out to 10 years would likely result in a modest yield pickup. For a yen investor, the story is potentially better. There is still attractive, albeit reduced, pickup after three-month hedging costs in all parts of the corporate yield curve, and the pickup should increase farther out on the curve. Is foreign demand for US corporate bonds at an inflection point? While dollar volatility and increasing hedge costs may undercut demand to some extent, I believe the US corporate debt market will likely continue to attract foreign capital. US corporate debt is the largest corporate debt market in the world. 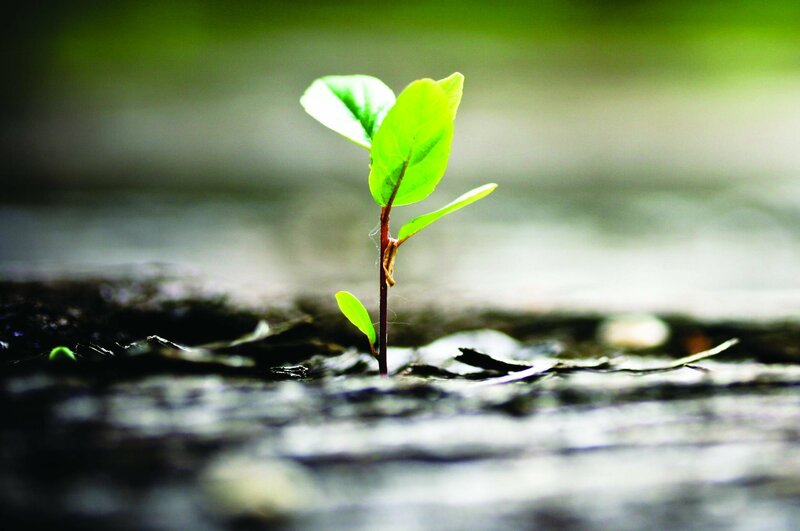 It can offer unparalleled depth and diversification—critical attributes for investors. It is three times the size of the euro–denominated corporate market and fifty times the size of the yen-denominated corporate market. Additionally, despite historically high leverage, US corporate profit margins, earnings growth and interest coverage remain at, or close to, historic highs. Also, most corporations should stand to benefit from tax reform. 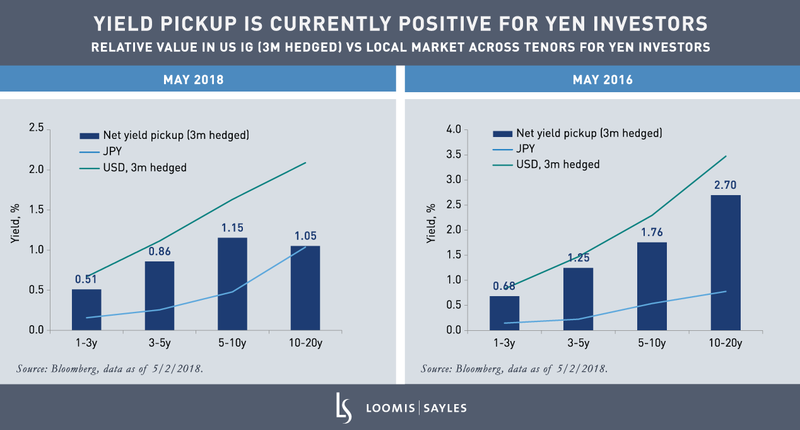 Whether investors are partially or fully hedged, the US corporate debt market should continue to provide opportunities for asset mix, quality and duration, which are necessary elements to help achieve the yield pickup non-US investors need to meet their requirements.